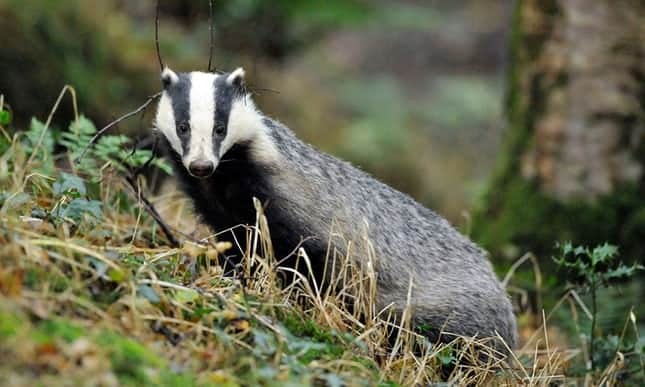 Home » Articles » Should the UK’s failed badger cull policy be abandoned? Should the UK’s failed badger cull policy be abandoned? The cost of policing the controversial badger cull in just one of the 21 zones last autumn approached the £1m mark – the equivalent of more than £1,000 for every animal killed there. Objectors to the cull described the bill for Cheshire as a horrendous waste of public money and called for the policy to be scrapped on economic as well as animal cruelty grounds. The zone in Cheshire was one of 11 new areas where the cull, which is designed to help eradicate bovine TB in cattle, took place in the autumn of 2017. In January, a member of the organisation Wounded Badger Patrol asked Cheshire police under freedom of information legislation how much the operation for policing the cull – codenamed Operation Aviator – cost. Last month the force apologised for not providing the information and revealed it had charged the Home Office £831,000 for the badger cull operation. According to government figures, 736 badgers were killed in the Cheshire zone in 2017 over 48 days. In all, there were 21 cull zones in England in 2017 involving seven police force areas. A spokesperson for Wounded Badger Patrol said: “While the figure is staggeringly large, we’re not surprised. Out on Wounded Badger Patrol every night, we could see just how much police time and resources were going into policing the cull, and what a waste of taxpayers’ money it was. Jay Tiernan, of the Stop the Cull group, said: “We think everyone should be asking how is this policy delivering its forecast of saving money.” Stop the Cull will be asking its supporters to contact the National Audit Office and request an investigation. Dominic Dyer, CEO of the Badger Trust, called the bill in Cheshire “horrendous”, adding: “The badger cull is becoming the most expensive wildlife destruction policy in British history. A government spokesperson said the average cost of policing each zone had declined significantly year on year and it expected the same to happen in Cheshire. This article was first published by The Guardian on May 2018.